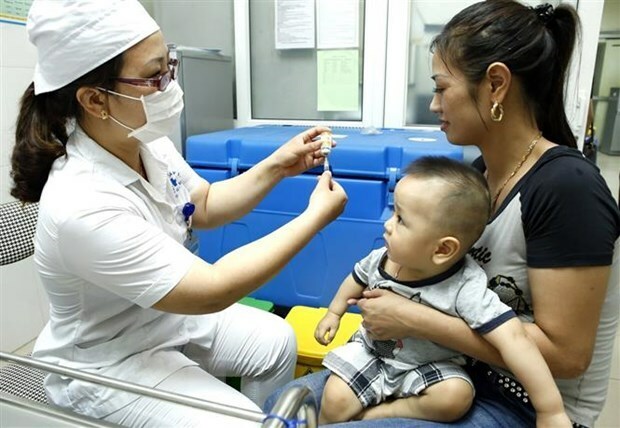 Hanoi (VNA) - Deputy Prime Minister Vu Duc Dam urged medical facilities nationwide to step up preventive health care services and ensure adequate vaccines to prevent the spread of epidemics such as measles and dengue fever. Localities should allocate more money to reach the target of spending 30 percent of health care service’s national budget on preventive medicine, he said at a working session with medical agencies on March 21. Minister of Health Nguyen Thi Kim Tien said technology application is the biggest challenge the sector needs to address. The ministry will step up technology application in the future to connect medicine supplying facilities and launch electronic personal health records. In the past, local hospitals applied new advanced techniques including tissue transplants, and successful lung transplants. The ministry has made efforts to improve health care service and change health care workers’ attitudes towards patients, heard the meeting. Tien said hospital overcrowding can be solved by investing in health care services at local medical facilities to meet patients’ demand while central hospitals must focus on developing techniques and quality healthcare to stop people travelling abroad for treatment. However, the Deputy PM pointed out shortcomings at central and local facilities that make the services unable to meet expectations such as poor infrastructure, lack of medical equipment or healthcare workers of low capacity. To address these shortcomings, he requested the health care sector to improve their capacity by making medicine quality better, especially medicine used to treat non-infectious diseases. Dam praised the health ministry for its efforts to hold national centralised bidding which helps reduce medicine prices and asked the sector to bring costs to same levels as Malaysia, the country with the lowest prices in ASEAN. He asked healthcare sector to connect pharmacies to ensure medicine distribution and preservation. “The medicine quality will not be ensured unless it is well preserved and transported,” he said. It aims to better manage prescriptions and selling prescribed medicine, looking forward to a future of having 100 percent of antibiotics sold with prescriptions by 2020.